When I first met Valerie I immediately adored her…even though her favorite wine was “oakey, buttery Chardonnay.” I was on a mission both to change her palate and convince her that I was the man for her. I mention this because that time period coincided with a general conversation in wine circles around oaked versus unoaked wines. There have been eras in winemaking that were marked by an extreme enthusiasm for using oak. As with many things, the pendulum swings…and now there’s more conversation around being nuanced and well balanced. Even highlighting totally unoaked wines. Most of the folks in the Cru (now including Val) prefer wines that don’t hit your palate like an Oak bomb, but we do advocate that avid drinkers consider how using oak barrels impacts the winemaking process and ultimately flavors what ends up in your glass. So this week Lindsey Furia walks you through some basics about oak and how you can elevate your drinking experience by noticing the oak or not so oaked aspects of wine. Before the production of glass bottles, wine was stored and transported in wooden vats—and while oak barrels aren’t necessarily needed for these reasons—wine drinkers have acquired a taste for it over time. Oak barrels, in a very general sense, can soften the wine and make it appear creamier, and add some flavor, vanilla and spice. Winemakers can use oak in the fermentation process and the aging process. 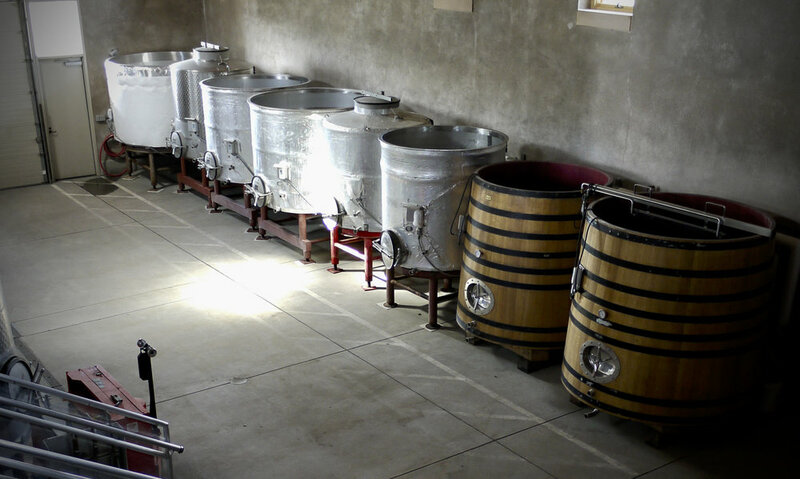 Some winemakers choose to ferment wine in stainless steel or concrete, then transfer the wine to oak barrels to rest for a bit. In the Rioja region of Spain, some laws require oak aging for up to 3 years or more. Oak barrels are produced at cooperages around the world, and different species of oak do different things to the wine. The size of the barrel also plays a part: the smaller the barrel, the more in contact it is with the juice, thus imparting more characteristics. The smallest barrels, famous in Bordeaux, are called Barrique: 225 liter french oak. On the other end of the spectrum, Botti & Foudre are types of barrels that range in size from 1000 to 25,000 liter. French and American oak seem to be the two most popular types of oak vessels. Hungarian and Slavonian (not from Slovenia, but from Croatia) oak are common as well. French oak imparts more subdued characteristics in wine, like the spices you would find in your pantry when making a pumpkin pie. American oak is certainly more in your face (like most Americans are as well); it adds a vanilla and coconut flavor to wines. The fermentation room at Littorai Winery in Sonoma.